Skin is the human body’s largest organ (an organ is a group of tissues that work together to perform functions in your body, others include your brain, heart and lungs). 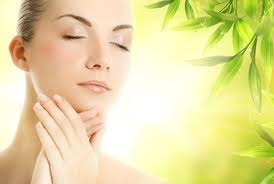 Your skin performs a range of different functions which include physically protecting your bones, muscles and internal organs, protecting your body from outside diseases, allowing you to feel and react to heat and cold and using blood to regulate your body heat. The outer layer of your skin is the epidermis, it is found thickest on the palms of your hands and soles of your feet (around 1.5mm thick). The subcutis (or hypodermis) is the deepest layer of your skin, as well as storing fat, it also contains blood vessels, hair follicle roots and nerves. If skin is severely damaged then it may try to heal by forming scar tissue. Scar tissue is not the same as normal skin tissue, it often appears discolored and lacks sweat glands and hair. The color of human skin depends on the amount of pigment melanin that the body produces. Small amounts of melanin result in light skin while large amounts result in dark skin. Areas that experience repeated friction or pressure can form tough, thick skin known as a callus. Common examples of calluses can be seen on the hands of tennis players and the fingertips of guitarists. All mammals have some hair on their skin, even if it isn’t easy for you to see. Rhinoceros’s are protected by thick skin which can be between 1.5cm and 5cm deep. Although polar bears have both white and transparent (see through) fur, their skin is actually black. Amphibians such as frogs have unique skin. Rather than drinking water, frogs actually soak it into their body through their skin. They also use their skin to absorb around half the air they need. Snakes have smooth, dry skin. A number of different sea creatures, such as sea lice and barnacles, attach themselves to the skin of whales, making it their home. Some fruits and vegetables are known to have ‘skins’, these include bananas, oranges, apples and potatoes.